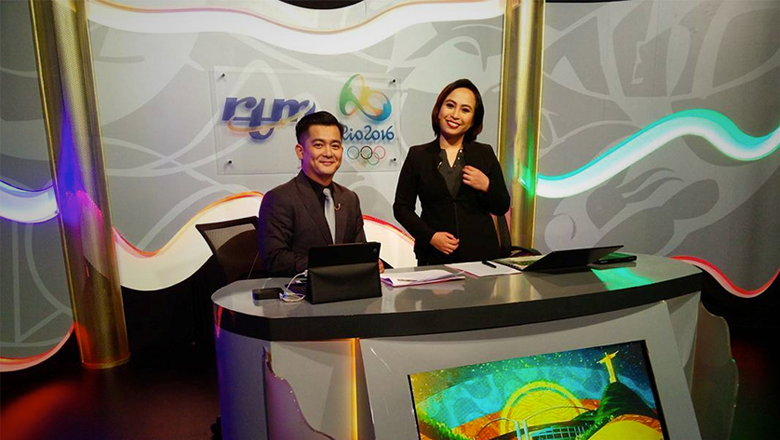 Malaysian broadcaster RTM is covering the Olympics from afar using a simple set built for the occasion. Coverage is originating from the government-owned RTM’s studios in Angkasapuri, Kuala Lumpur, Malaysia. The simple set features light colored walls with integrated wave and textural patterns, including some that are backlit. 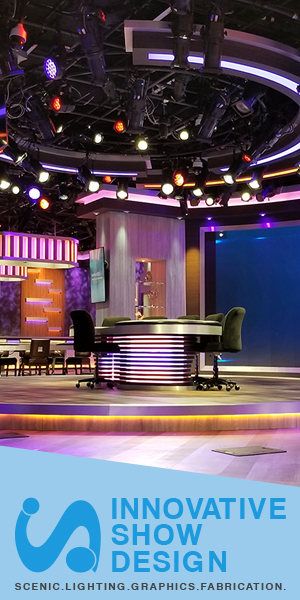 Gold columns and a simple anchor desk finish off the space. RMT is relying on the Olympic Broadcast Services‘ graphics package.